The Advanced ThetaHealing's® Instructor's course is taught exclusively by Vianna Stibal, the founder of ThetaHealing®! This seminar is designed to prepare and certify ThetaHealing® Practitioners to teach the Advanced Practitioner seminars through becoming a Certified ThetaHealing® Instructor! It is also the perfect opportunity for personal growth through a deeper understanding of this amazing technique and how ThetaHealing® really works. The Advanced Instructors course really goes in depth and covers understanding the Seven Planes of Existence in detail which will make doing this work so much more clear and beneficial on all levels. Not all Instructors go out and teach this Modality! Some just want to learn how to work on themselves, friends or family! During this hands on seminar you will have a quick review of the Advanced Practitioners course and share new additional information that has evolved from its original teachings, only to increase the power and efficiency of ThetaHealing's® practices. 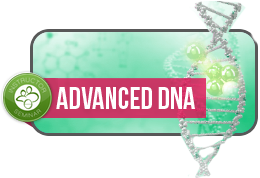 These healing practices guide the Instructor to heal on a genetic-DNA level! In small groups, Students begin to practice teaching the core and fundamental building blocks for these seminar exercises and presenting this modality and how it works to their groups, under Vianna's or her Senior Instructors Supervision. Exercises include: Learning how to clear old resentments, vows and commitments that hold you back. Learning how drama, resentments, jealousy and anger are fifth plane elements and waste important time and energy. Learn the inner workings of the student-teacher dynamics and how to react in difficult situations with "problem children" in seminar. Clear any free floating memories from negative events or past trauma. Send love to the baby in the womb. Repair broken soul's and so much more! When the instructor teaches this seminar, they will watch the students change and become some of the most amazing and loving people on Earth. As an instructor, this seminar will give you perseverance, honor for others and yourself while learning how to instruct your students in the purest spirit of cooperation. By the end of the seminar, you will be prepared to be an Advanced ThetaHealing® Instructor. After registration you will receive an Advanced ThetaHealing® Teacher- Instructor's Text Manual. For any further questions or concerns please feel free to contact customerservice@thetahealing.com. We look forward sharing this work and welcoming you all as ThetaHealing® Instructor's in the near future!